Today’s holiday lights have a long history beginning with the General Electric Company, GE. With its inception of the invention of the first practical incandescent light bulb designed by Thomas Edison, GE’s roots began in 1878. GE is proud to herald itself with a tradition of innovation. Today, GE is considered the largest company in the world. GE reports to have provided the basis for modern life with their life changing innovations of power and light. GE has a continual history of product innovations, including the first holiday lights. It is reported that the first Christmas tree with electrically lit holiday lights was displayed in December, 1882, in the New York home of Edward H. Johnson, and associate of Thomas Edison. Electric holiday lights are still hung in this manner more than a century later! 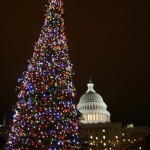 Not only that, Christmas trees decorated with electric holiday lights have become an iconic symbol of Christmas. Major retailers are stocking more GE LED holiday lights this year in anticipation of consumer demand for the product. It is reported that one major retailer expects 65% of its holiday lighting sales to come from LED holiday lights. The reason for this comes from the economic and ecological advantages that LED holiday lights provide. Energy efficient LED holiday lights provide many benefits including using little power consumption, long life, recyclable, environmentally friendly, dimmable and programmable, quick turn-on, light-weight and compact, and hard-wearing. LED holiday lights use 90% less energy than traditional incandescent holiday lights. GE reports that each LED holiday light string uses 80% less energy costing less than $1.00 per season to operate. Some LED holiday lights manufacturers report that their lights illuminate between 50,000 and 100,000 hours. GE has a five year limited warranty on their LED holiday lights with a 20,000 hour rated LED life. LED holiday lights contain no mercury and are recyclable. LED holiday lights are dimmable, programmable, cool-to-the-touch, and turn on quickly. LED holiday lights are durable, break-resistant, light-weight, and compact. GE also reports to have an exclusive “Constant On” technology that allows the LED holiday lights to function even if a single LED light is loose or not working. The many economic and ecological advantages are the reason that LED holiday lights are becoming increasingly more popular and quickly flooding the holiday light market. Jump on the LED bandwagon and brighten your holiday decorations with GE LED holiday lights. Holiday LED lights can come from other sources than advertised Christmas lighting products. LED light products have so many advantages that they can be used for many purposes, including holiday LED lights. GE introduced a robust and patented LED Tetra lighting system that is reported to burn 15 times the brightness of other LEDs. GE produced these long-life, high efficiency systems for use indoors and out. Some applications that LED Tetra lights are used for include signage, architecture, transportation, and display lighting. Although not produced for holiday LED lights, these power house little lights have received national attention from their use in the 42-inch tall, star-shaped tree topper used on the 2007 and 2008 National Christmas Trees in Washington, D.C. Holiday LED lights are a smart choice when purchasing Christmas lights. Make your holiday decorations radiate this year with energy efficient holiday LED lights.